Macsterr/RedditA closer look at Macsterr’s original concept for the ‘PlayerUnknown’s Battlegrounds’ ad, republished from Reddit with permission. Reddit user Macsterr claims that Microsoft stole a design of theirs for a video game ad without crediting their artwork as the inspiration. 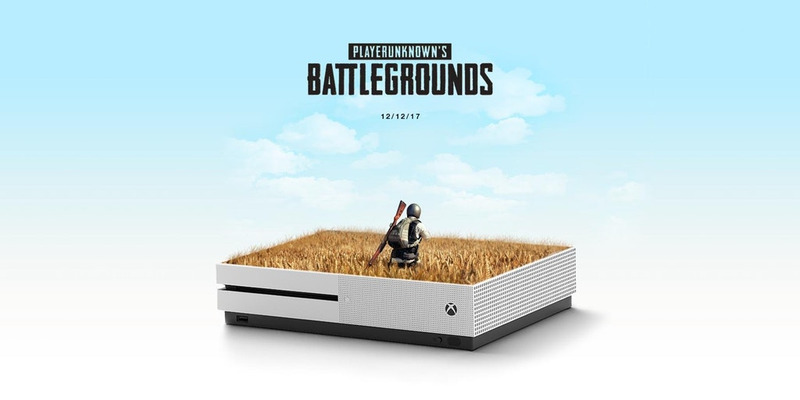 In November, Macsterr posted a distinctive design for an ad for “PlayerUnknown’s Battlegrounds,” the most popular video game of 2017. On Tuesday, Microsoft’s Xbox social media account posted a similar image to Twitter, without crediting Macsterr. The tweet has since been deleted and Microsoft says it’s “investigating” the matter. As the situation has gained traction on Reddit, Macsterr says that they’re mostly looking to get credit for the overall design. Some Redditors are up in arms on Wednesday after a Reddit user claimed that Microsoft stole the overall design of a piece of their artwork to promote “PlayerUnknown’s Battlegrounds,” the hottest video game of 2017. On Tuesday, Microsoft’s official Xbox Twitter account posted a piece of art to promote the game. Reddit user “Macsterr” says the artwork is visually similar to a design that they had created and posted to Reddit in November – and Reddit’s active community of video game fans seems to agree. Here’s the post from Macsterr alleging the theft. At the time of writing, it had over 115,000 “upvotes’ on Reddit, making it one of the most popular recent posts on the site. The tweet from Xbox was deleted shortly after Macsterr posted about it to Reddit on Tuesday night. A spokesperson for Microsoft confirmed that it had removed the artwork and was investigating the situation. Microsoft Xbox community manager Larry “Major Nelson” Hryb also wrote in the original Reddit thread on Wednesday afternoon that they would follow up with Macsterr when more details were available. In a private message with Business Insider on Reddit, Macsterr said that they’re not necessarily looking for any kind of financial compensation, but that they would like credit for the original design. Macsterr said in the public Reddit post that they’re “not saying I own any copyright,” but as the original design was viewed over 63,000 times, someone at Microsoft could have easily seen it. “Yes, I’m looking for credits, but I’m also open [to] anything else Microsoft has to offer,” Macsterr told Business Insider. Screenshot/Business InsiderA closer look at Microsoft’s version of the ‘PUBG’ ad, which was also posted on Facebook before getting deleted. The subject of the artwork, “PlayerUnknown’s Battlegrounds,” is a bloody battle royale gamewhere 100 players are dropped onto an island, forced to scavenge supplies, and fight to be the last person standing. After selling more than 13 million copies on the Windows PC platform earlier this year, “PUBG” came to the Xbox One video game console a few weeks before Christmas. Macsterr says that they first noticed Microsoft’s tweet about ten minutes after it was posted – they were actually playing “PUBG” on the Xbox One at the time it was posted, Macsterr tells Business Insider, and went to Reddit soon after with their grievance. Now, Reddit has taken up Macsterr’s cause. “I’m just commenting to be a part of the biggest robbery of 2017,” says user “smacksaw” in a top-rated comment. “I feel like everytime i think microsoft is doing better, they just need something to show hey dont care [sic],” says user JackYY_.